I recently caught up with an old friend, HR, for lunch. As fate would have it we were both going to be around Subiaco at lunchtime so I thought that, combined with having seen a voucher for it on Living Social, it was the perfect reason to finally visit olympic swimmer, Eamon Sullivan’s new cafe – Louis Baxters. Situated in Subiaco Square its a fairly cosy little cafe, but I did like the fit out. Very trendy and sparse. The other bonus was that when we arrived the couch style seat they had was free. This made the perfect hangout for my friend’s cute as a button 6-month old, who was happy just to lay and chill while we ate our lunch. The deal we had that day was that for $19 we each got to select one lunch item and then also a beverage – total bargain! The menu itself isn’t huge but there was enough to keep most happy with a selection of salads and sandwiches. I went with the 12 hour Crispy pork belly slider with fennel and apple slaw ($12), while HR decided to give the Slow roasted lamb sandwich with caramelised onion and chimichurri ($12) a go. 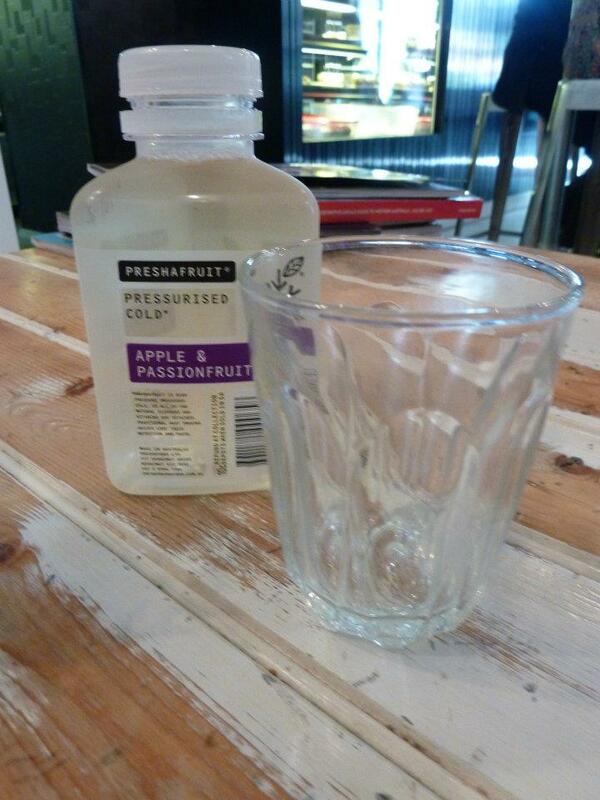 It was a warmer day when we went so we both swayed on the side of juice over coffee or tea and I was so pleased to see they have juices from the Preshafruit range! I’d recently tried the Green Apple, but they had an Apple and Passionfruit that sounded too good not to have! Service was very swift, which I suppose is an advantage of a limited menu, in that everything should be ready to roll as soon as ordered. 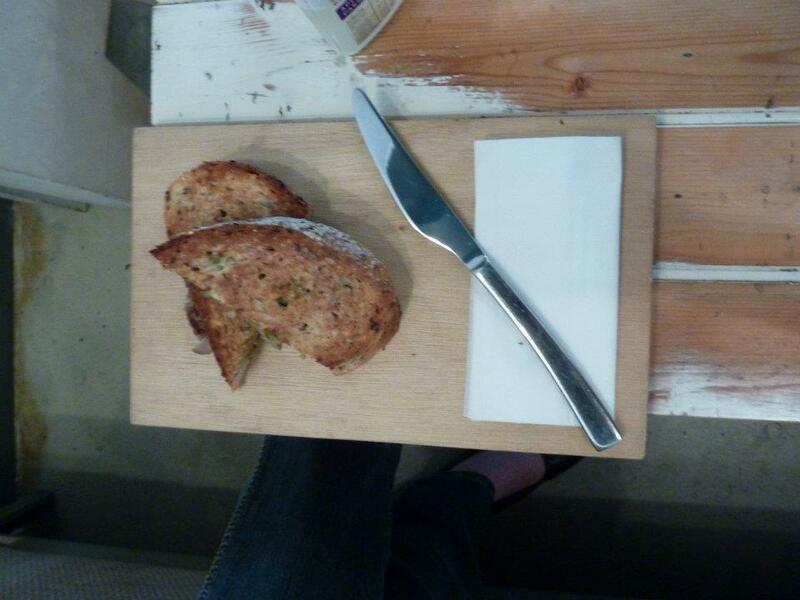 Initially I had thought that the lunches were a little on the small side. Personally, the size was ideal for me and I do know that a slider is only small, it’s not a burger, but I think I was just conscious that if it was GG I was lunching with that he’d probably need two of those to hit the spot. But for me I thought the size and the flavour was tremendous. Layer upon layer of perfectly cooked pork with the constrasting crunch from the fennel and apple slaw. The roll was nice and soft the combination of the fillings was delicious and I really enjoyed it. While initially I had wondered about the potato crisps on the side and I didn’t eat too many of them I could appreciate that it was in keeping with the lightness of the meal. 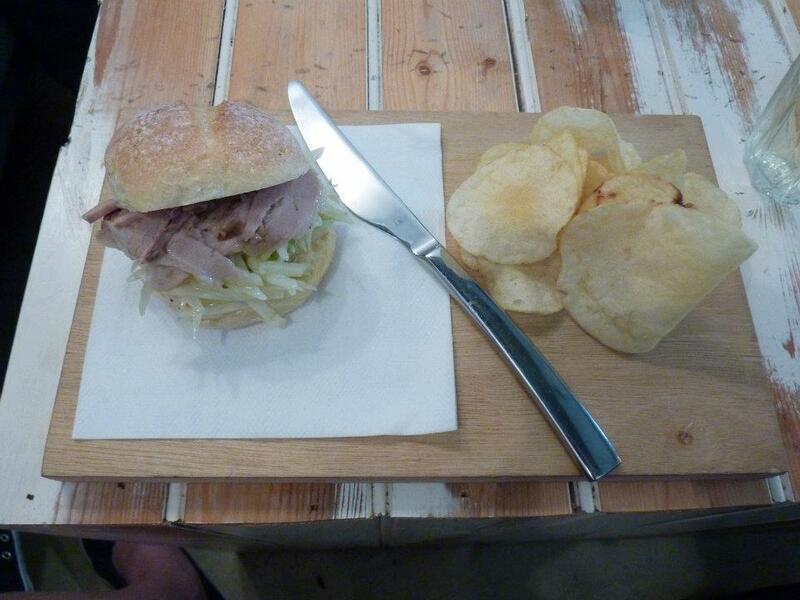 My friend’s lamb sandwich was said to be tasty, but I thought it looked a little sad all alone on its wooden board….. perhaps its needed some chips on the side!